Let’s face it, being hangry is real and it’s not fun – especially when it hits you in the middle of a busy day. Fortunately, with a little planning, you can make sure that you always have a healthy option on hand that keeps you well-nourished and feeling great. Take a look at Delray Station Apartment’s top five tips for eating healthy on the run. Bringing your own snacks is an easy and cost-effective way to make sure you have healthy options to eat when you start feeling hungry. 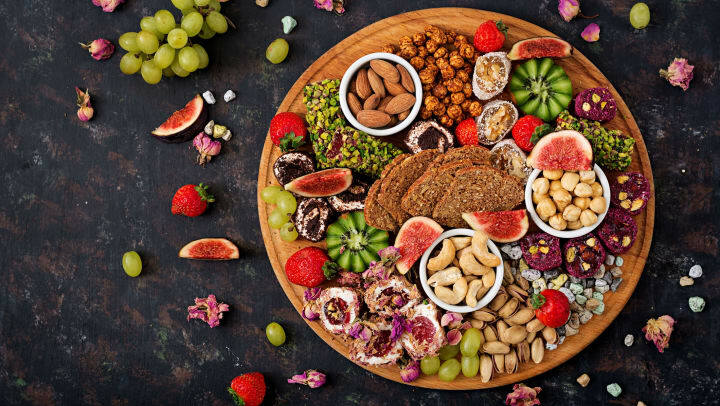 If you know you are going to have a busy day, building your own snack pack full of healthy treats like nuts, fresh fruit, or cheese is a great way to keep full and healthy. For a more long-term option, try leaving a few shelf-stable snacking options like a bag of nuts or low-sugar granola bars in areas like your car or bag so that you’ll never be stuck in a snackless dilemma. If you find yourself hungry and in a rush, take a second to drop into the nearest shop to find a nutritious snack. Although snack aisles can be overrun with sugary, salty, and fatty options, by taking the time to read the label, you can quickly find out which snack is your best option. If you're not confident in reading labels, check out this great article that walks you through the label-reading basics. Everyone’s metabolism and activity level is different, which means we all have different times of the day when we crave a snack of some sort. Start to pay attention to those times of the day where you want something to eat and see if there’s a regular pattern. Whether you crave sweets in the late afternoon or have a hankering for a salty treat in the morning, knowing your cravings is the first part of curbing them. Once you know your snacking patterns, you can make sure that you have a healthy option ready to go for when your hunger strikes. Eating out is a fast and easy way to fill up healthily while on the go. Look for items that load up on vegetables, whole grains, or lean meats for a nutritious meal that will keep you hunger-free. At Delray Station Apartments you’re never far from health-forward, flavor-packed menu options. Try the Veggie Burger Wrap at Whole Green Cafe or the Delray Detox Salad at Purgreens. Fun fact: If you’re thirsty, you’re already dehydrated. Drinking water can help curb your hunger and keep you feeling more energized and focused. In addition to having a healthy snack on hand, make sure that you carry your favorite reusable water bottle with you to keep hydrated and waste-free.